If you're serious about making coffee at home, you probably have a Chemex or an AeroPress somewhere in your kitchen. But if using a fancy coffeemaker doesn't put enough curl in your mustache, you could always buy Third Wave Water. As reported by Gear Patrol, it's a new line of soluble capsules that claim to make your cup of joe taste as delicious as possible. Or something. Coffee, as you might be aware, is basically a cup of hot water. 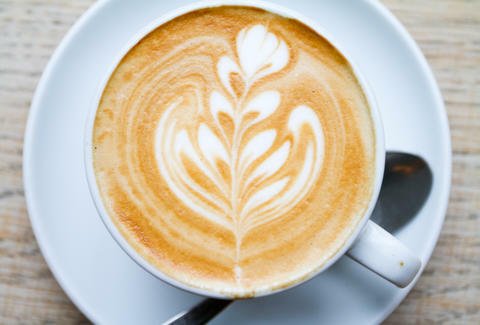 And because of that, Third Wave says that depending on where you get your H2O, the water's "soil type, rainfall, and solar intensity affect the flavor of coffee." The product makes sure that no matter where you make your coffee, the water used in it will have "the perfect amount of calcium, magnesium, and sodium." Here's how it works: You buy 10 capsules for $10, each of which treats 1 gallon of water. Then you can make a gallon of coffee with the ideal mineral blend and the added assurance that you've officially out-hipstered your neighbor. After all, everyone needs a break once in a while from drinking coffee with their name misspelled spelled on it. Lee Breslouer is a senior writer for Thrillist, and is drinking coffee right now. Follow him to caffeine @LeeBreslouer.